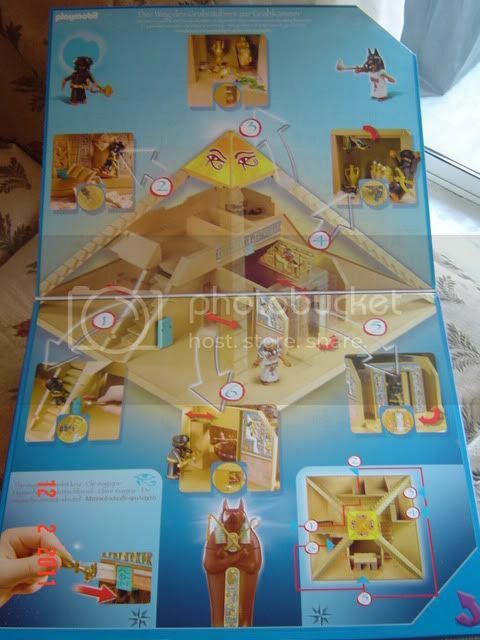 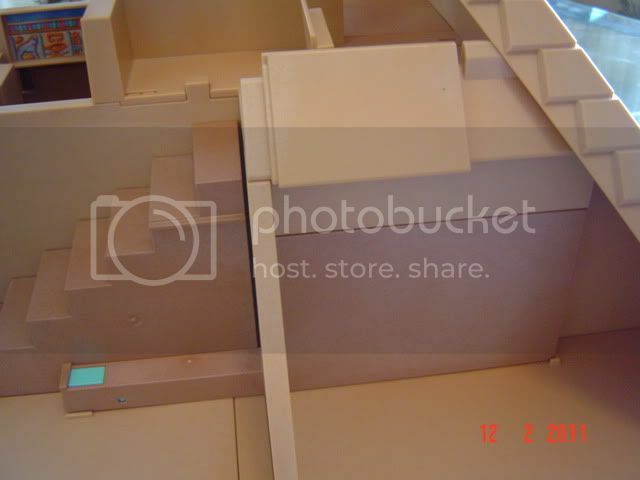 BUT... did you also know that the front cardboard flips open, revealing the path inside the pyramid? 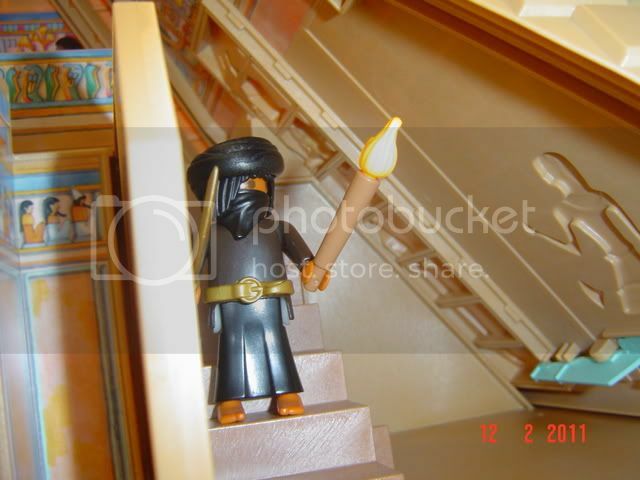 Well, this is the path that I am going to follow in order to show you around to what I think is one of the greatest latest sets Playmobil has produced!!! 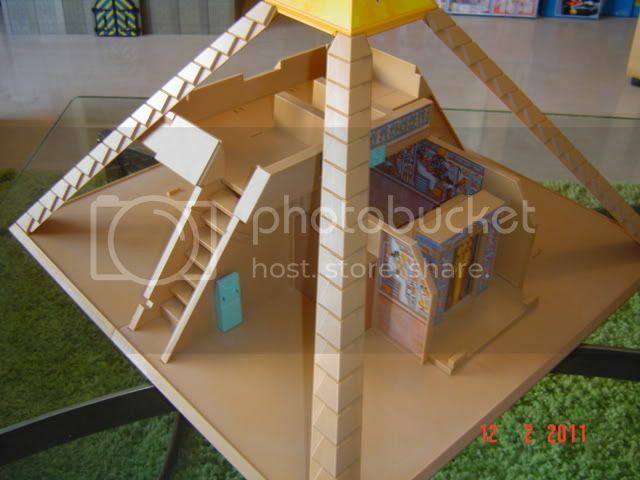 First time putting it together is quite hard, as this is a particular clip system that actually recreates a maze inside the pyramid.... 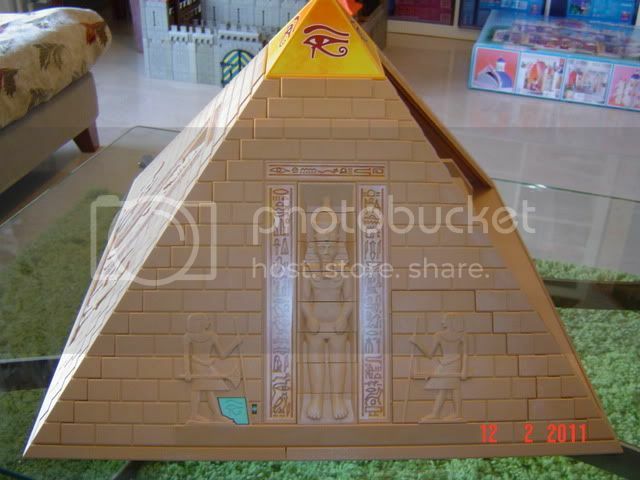 So basically, we have two big rectangular pieces as a base and the inside parts are cliped on it and inbetween them... finally there are four corner edged connectors that clip on the base and under the triangular cone Eye of Ra top! 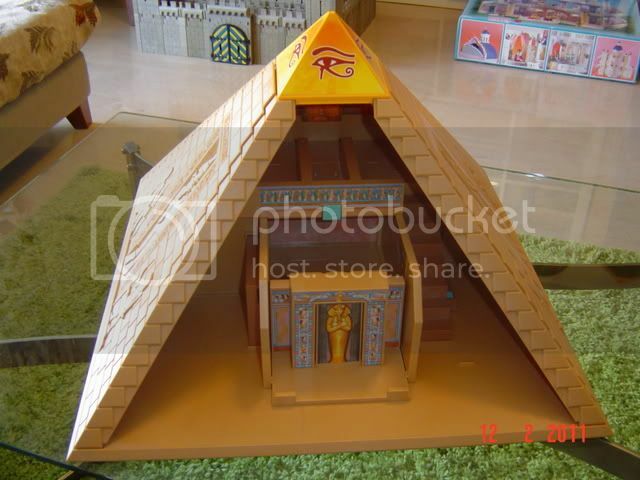 ...this is what the Pyramid looks like once all the wall sides are removed for easy playing! 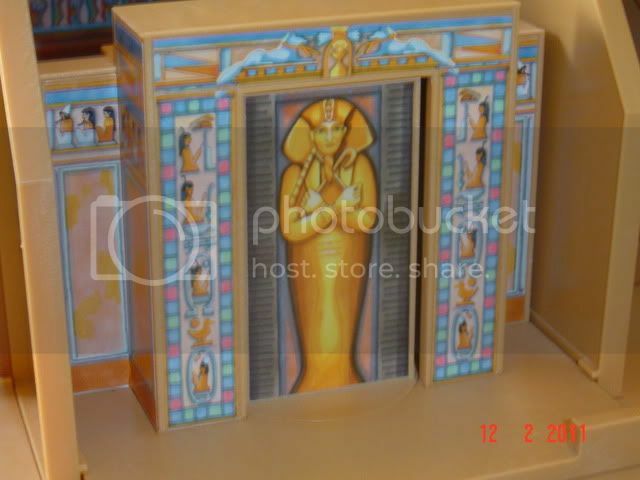 If three of the walls are removable, why not include the 4th wall ? 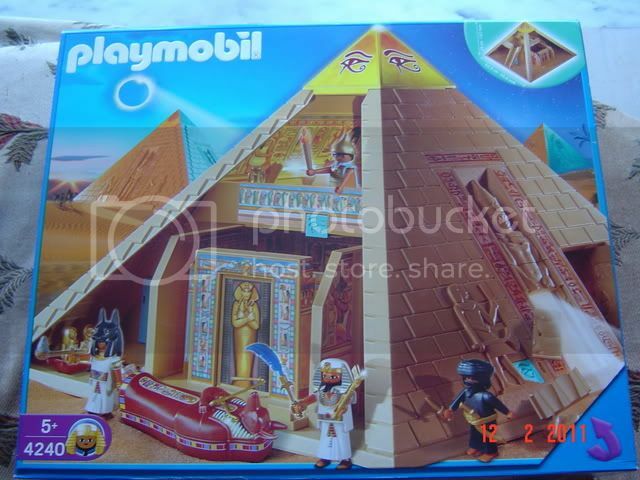 Still, you are right, that is an amazing set. 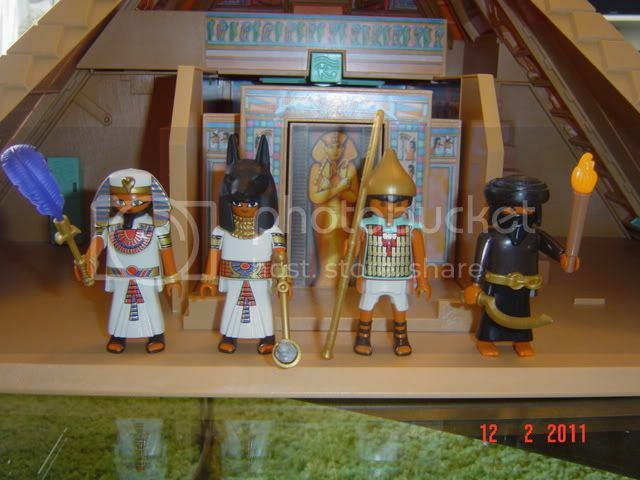 I like the Pharaoh's head cover, very nice design, and the Anubis head cover for the priest is very well designed too!! 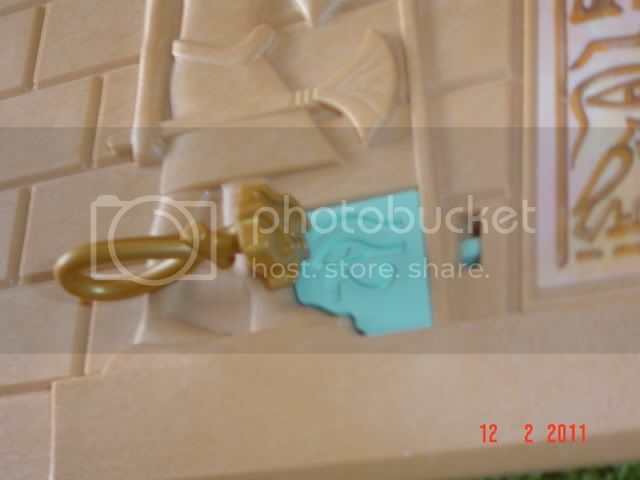 The teal armour of the guard is also unique to this set, and no other egyptian soldier has their armour painted like that. 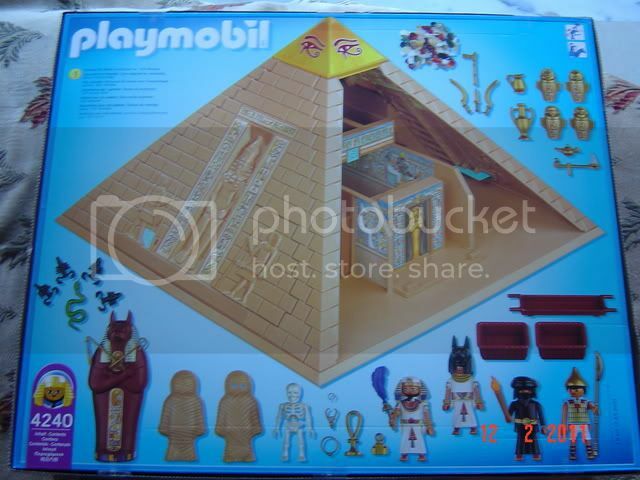 So, let us show you around the pyramid... 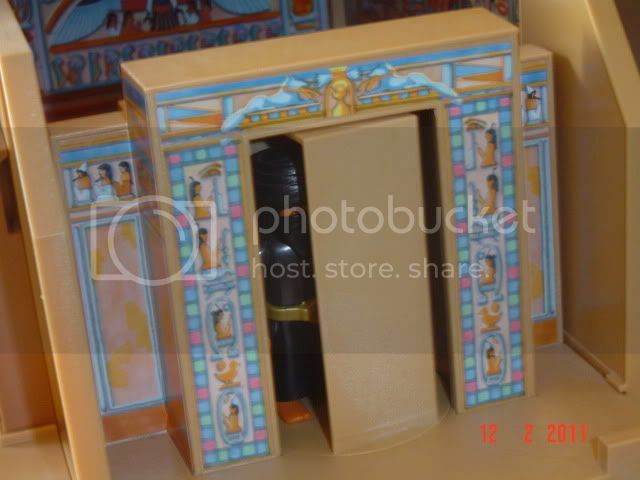 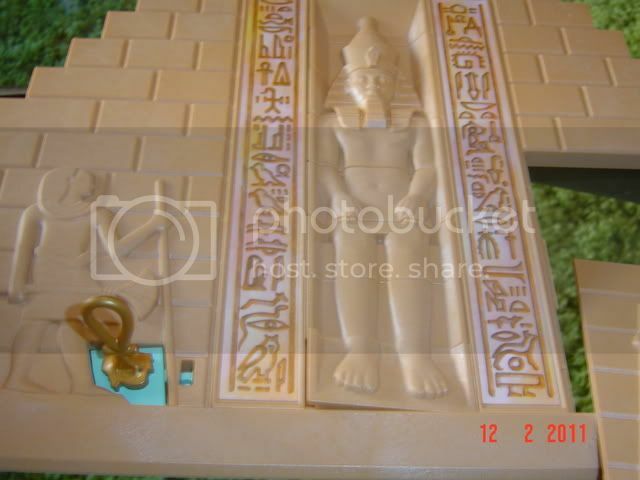 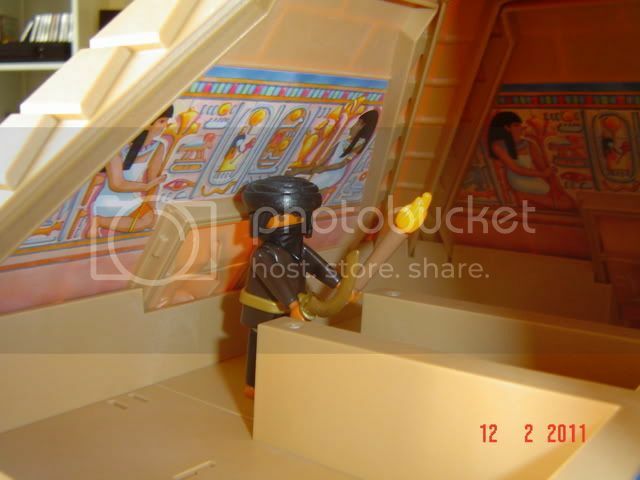 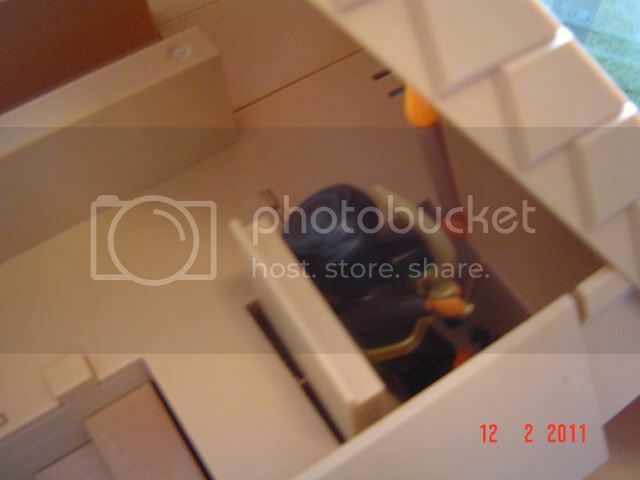 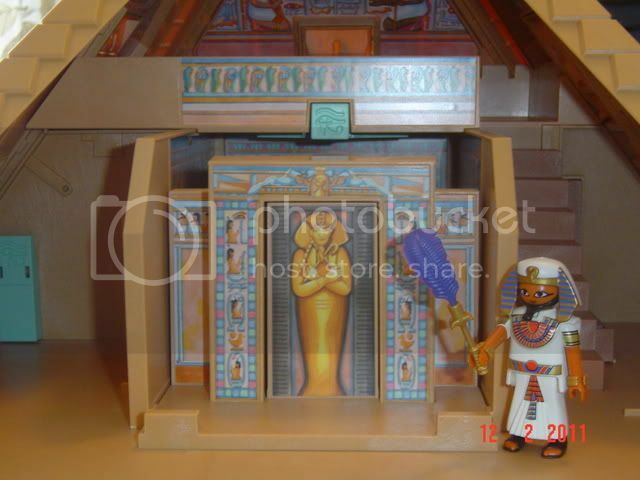 The Pharaoh will show you the main entrance of the tomb, which is decorated by amazing playmobil stickers!!! 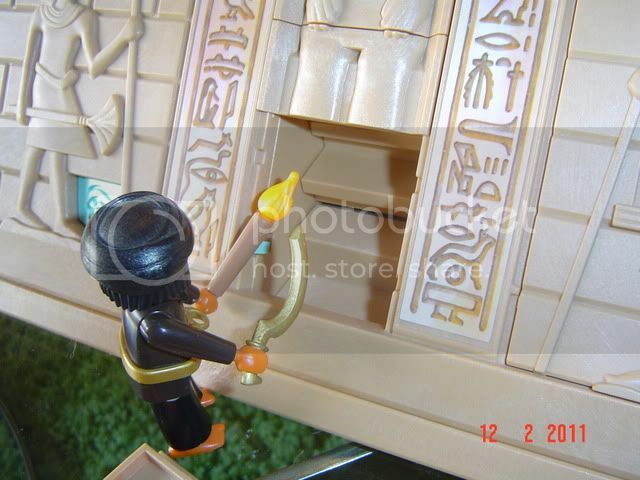 These are really fantastic... Playmobil has done a really great job with these stickers!!! 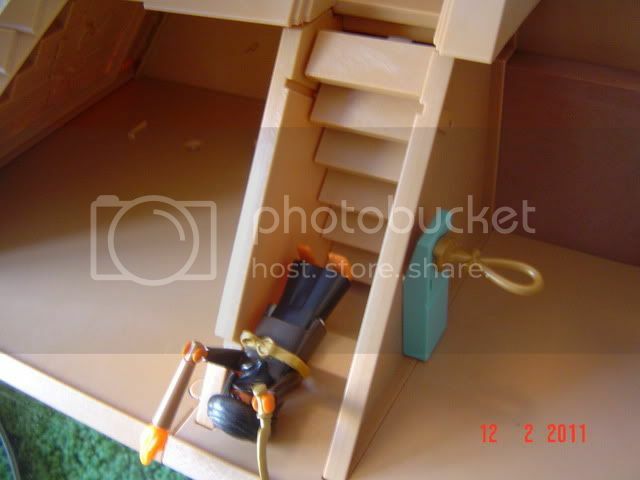 But hold on a minute... we don't want to be shown the easy way in... do we? 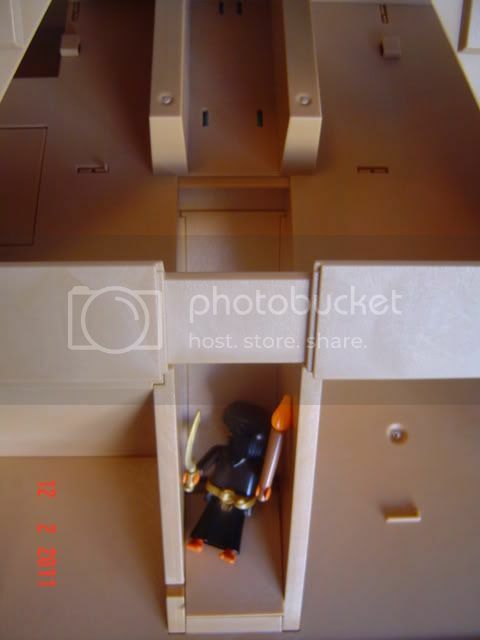 But I am sure we are all curious to see what happens in there... Aren't we?